It is important that all pets are treated with a product/s that covers ALL types of intestinal worms (tapeworm, roundworm, hookworm, whipworm). How often you worm your pet depends on their age. In a puppy/kitten, they should be wormed every 2 weeks from birth until they are 12 weeks old. They should then be wormed monthly until they are 6 months old. All pets should be treated with an intestinal worming product every 3 months after 6 months of age. Ask one of our friendly reception staff what product will best suit your needs. My pet has fleas, what should I do? Regular flea treatment is recommended for our pets. There are many excellent products available to treat and prevent fleas (tablets and spot on preparations). It is important to realise that only adult fleas live on our pets. Flea larvae and flea eggs are present in the environment. If your pet has fleas it is important to treat all pets in the household as well as treating the environment. Vacuuming carpets and washing bedding in hot water will help to remove flea larvae and eggs. Sometimes if may be necessary to contact a pest control specialist to assist in treating outdoor and indoor areas. Heartworm is a potentially deadly disease that is transmitted by an infected mosquito biting your pet. It is important that dogs are on heartworm prevention ALL year around. There is an annual heartworm injection that can be given (Proheart) and there are also monthly preventative tablets (some of which are combined with flea/tick/worming medication). 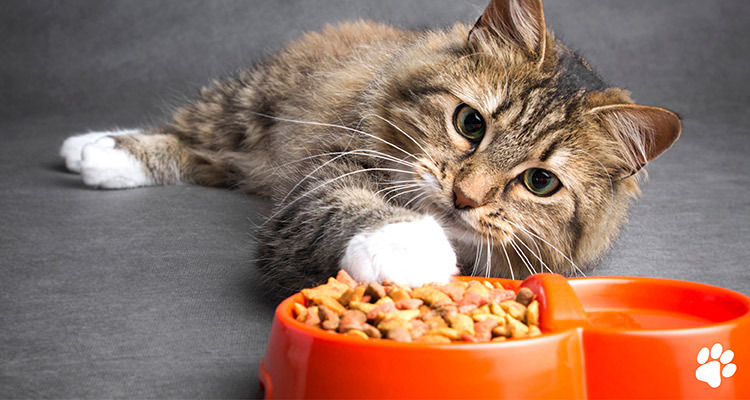 What are the best foods to feed my pet? The best diet for your pet is one that provides the optimal nutrition for your pet according to the life stages he/she is in, and at the same time does not cause any skin or gut hypersensitivity reaction. Good quality premium pet food offers a complete and balanced nutrition. Moist food has the advantage of providing additional water content for those who needs extra hydration requirement while dry food has the advantage to reduce plaque and tartar build up on teeth. Fresh quality meats that are easily digestible and are well tolerated by your pets are good sources of protein that can also be offered to complement your pet nutrition. If your pets have any specific nutritional requirements please consult our team for more advice. Do dogs need raw meat bones? Raw meat bone chewing can help to reduce plaque and tartar build up hence promote good oral health hygiene. However, there are risks associated with feeding pets raw bones. These risks include the wearing down of teeth, or even slab fractured of the teeth, constipation, obesity, and life threatening complications such as gastrointestinal obstruction or perforation. These risk can be minimized by supervising your pet at all times while they chew on raw bones, and only offer a bone that is larger than your pet’s mouth so that the bone cannot be swallowed whole. The consumption of raw meat has increased the risk of infections such as Salmonella and Campylobacter. These infections serious gastroenteritis. Also, eating raw chicken bones can lead to botulism which will damage nerves much like tick paralysis. If bones are to be fed, make sure they are raw, as cooked bones are brittle and can break into sharp shards. Bone if given, should start from young age to avoid improper chewing behavior later on in life causing permanent irreversible damage to teeth. How can I look after my pets teeth? It is good to get your pets accustomed to mouth check by positive training through offering treats from early age which will make mouth examination and oral brushing easier. Oral brushing is an effective way to remove plaque and tartar from teeth if done properly and regularly. Animal toothpaste does not contain fluoride and requires no rinsing. Please do not use human toothpaste on your pet. If your pets do not tolerate tooth brushing, then veterinary dry dental diet can effectively help to reduce build up of plaque and tartar by either mechanical or chemical way. Other ways that may help to reduce plaque build up include anti-plaque substances which you can add into the drinking water; good quality dental treats or chew toy. We strongly recommend regular dental check up with your vet to detect any early sign of plaque/tartar build up or periodontal disease. Our team is more than happy to give you a demonstration of how to do homecare brushing, and ways to make oral homecare brushing a positive experience for you and your pet. How can I medicate my pet? Medications dispensed by the vet usually come in the form of a tablet or liquid. Some very lucky owners will have pets who take medication readily, however, this is not always the case. Many medications can be given hidden in or mixed with a small amount of your pet’s favourite food. Pilling devices can be purchased to aid in the administration of tablets. Please discuss with your veterinarian how best to safely administer medications to your pet. What things are toxic to my pet? Unfortunately there are many things that are toxic to our pets. If you are unsure always contact your vet for advice. Never give your pet any human medications as many are toxic. Foods which can be toxic to our pets include onions, chocolate, caffeine, grapes, macadamia nuts, alcohol and xylitol (an artificial sweetener). Plants which can be toxic to our pets include lilies, yesterday, today and tomorrow plant and sago palm (cycad). Rat baits and snail baits are highly toxic to our pets. How can I best train my dog? At Normanhurst Vet Practice we find the best training results are achieved using positive reinforcement (treats and praise). We are happy to provide you with contact details for local force free trainers. Or you and your puppy could join our Puppy PreSchool classes. By law, cats are permitted to roam freely. If a roaming cat becomes a nuisance, call Hornsby Council on 02 9847 6666 for further instructions. If the cat is injured, use a towel to pick the cat up, put it in a box and take to the nearest vet. How can I adopt a rescue dog or cat? There are many reputable rescues who rehome dogs and cats. Here at Normanhurst Vet we work closely with Paws for Thought Rescue providing veterinary care for senior dogs. We often have kittens and adult cats available for rehoming for a small fee. Kittens come vaccinated, desexed, flea treated and dewormed. Please contact reception if you would like more information. What should I do if I find an injured native animal? Should I get my pet insured? There are many pet insurance companies and policies available and we recommend you conduct your own research. Pet insurance enables pet owners to focus on the health of their pet rather than the costs associated with their care and can increase treatment options available to the pet. Putting money aside regularly for your pet’s medical care is another alternative. How do I make an insurance claim for my pet? Our reception team are more than happy to assist with pet insurance claims. Pet insurance claims can only be lodged once the invoice has been paid in full. A form is usually required to be filled out and signed by the pet owner for each claim. Once this is submitted to reception, the vet will complete their portion of the form and the appropriate history and invoices will be sent to the pet insurance company.